As a veteran part-time seasonal worker myself, I instantly empathized with Wendy (Karina Fontes) in the new trailer for Body at Brighton Rock, written and directed by Roxanne Benjamin. Working at a state park in a mountainous American region, Wendy must take on what's described as a "rough trail assignment at the end of the season." So, a lonely trail, no doubt, and also one that is not familiar to her. Also, it could be fraught with unknown dangers, like wild animals, hungry for new blood. "Wendy, a part-time summer employee at a mountainous state park, takes on a rough trail assignment at the end of the season, trying to prove to her friends that she's capable enough to do the job. When she takes a wrong turn and ends up deep in the backcountry, she stumbles upon what might be a potential crime scene. "Stuck with no communication after losing her radio and with orders to guard the site, Wendy must fight the urge to run and do the harder job of staying put -- spending the night deep in the wilderness, facing down her worst fears and proving to everyone - including herself - that she's made of stronger stuff than they think she is." Check out the trailer below. 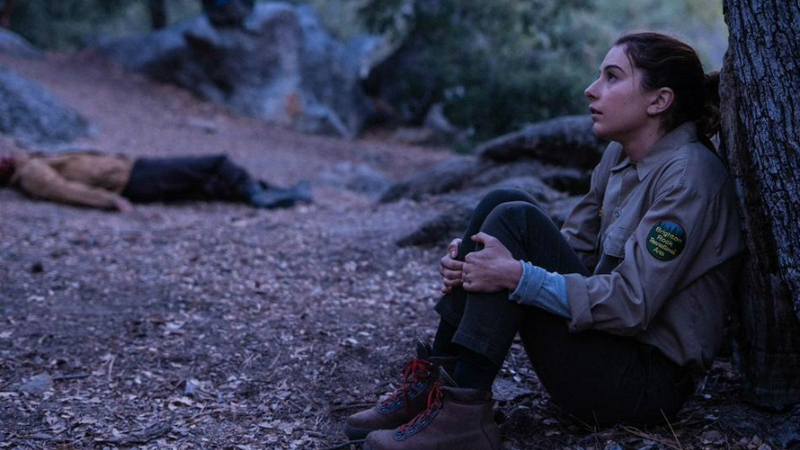 Magnolia Pictures will release Body at Brighton Rock in theaters and On Demand on April 26, 2019.